The Spirit of Deal is a project born out of the economic downturn in 2009. Like most towns, shops closed leaving a barren look to the High Street. Three linked arts projects under this title aim to revitalise Deal, furthering Deals cultural life and filling the gap left by failing commerce. exhibition to cheer up the town, creating interest for our summer visitors. 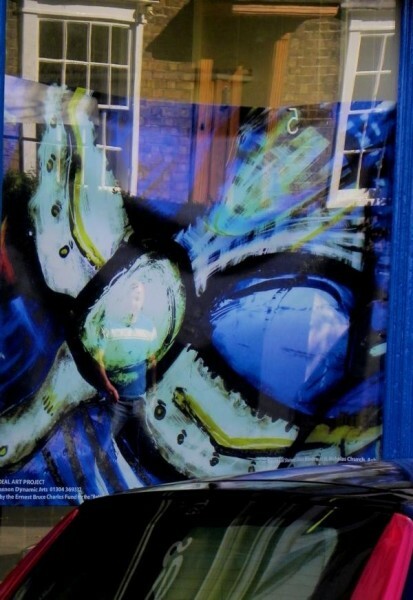 The second stage of this project is to paint murals on the boarded up buildings. 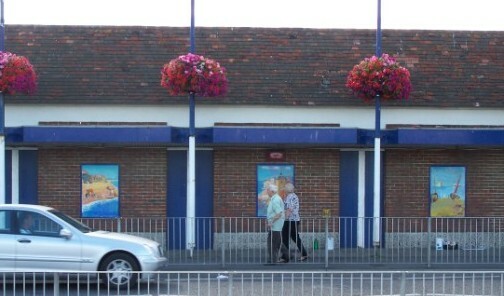 Permission has been given by DDC to place images on the Regent Cinema building and the boards outside the Quarterdeck, opposite the pier. 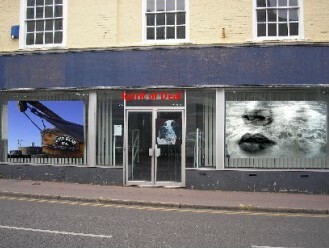 The third stage, setting up a gallery to showcase the Arts in Deal. To this end the "Burning Bush Gallery" has just opened for a trial period, displaying the rich variety of the culture of the Deal area. 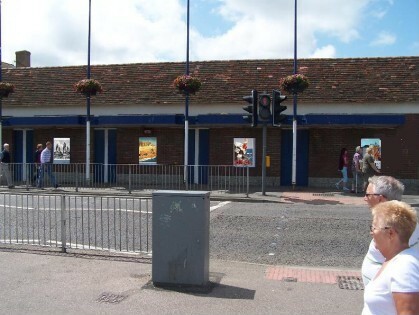 Above, artists impression of the Quarterdeck, and the actual murals opposite the Pier. 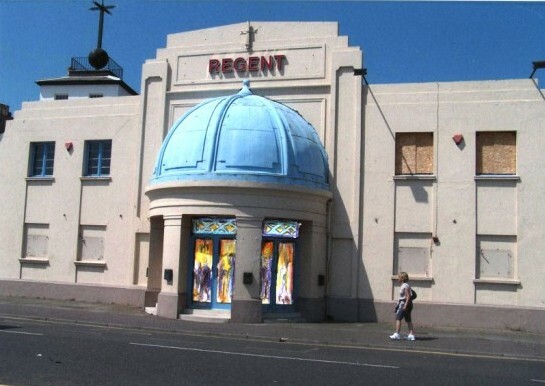 Below, the Regent Cinema, with murals replacing blank boards.